Winning Presentations - Communication and Presentation Skills Training via Workshops and Seminars. 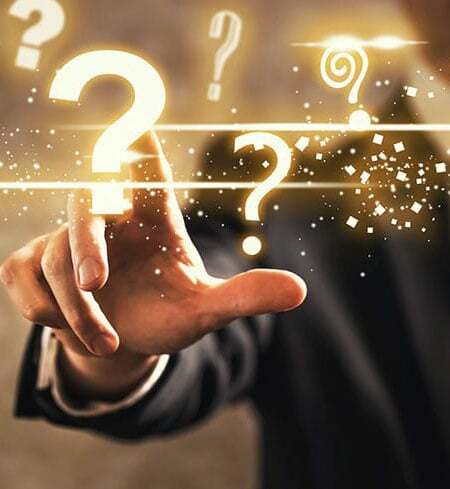 We have devised a list below of our most commonly asked questions, however if you would like more information about any of our services or the way that we work, please do not hesitate to contact us on +44-207-1010-787 or client.coms@winningpresentations.com. Who in our organisation stands to gain most from working with Winning Presentations? The people who will gain most are any of your client facing people from sales personnel through to senior managers and directors who have to compete with other companies to win new business or retain existing clients. Winning Presentations are in business to help you win more business and grow your revenues.In addition, non-client facing people will derive huge benefit from Winning Presentation’s confidence building workshops designed to ensure participants can design and deliver engaging, effective, persuasive presentations to colleagues, peers and internal clients, with clarity, brevity and focus. What sets you apart from all the others out there? In one word, RESEARCH, is what sets Winning Presentations apart. Winning Presentations has spent two decades conducting research all over the world discovering the real reasons why presentations succeed and fail. Whether it is a competitive selection presentation in Europe or a conference speech in Hong Kong, Winning Presentations has researched them all, and in all market conditions. The behaviours, skills and tactics of the best presenters and communicators have been identified along with the attitudes, expectations and reactions of audiences large and small. How and why they will buy you personally, your proposition and thoroughly enjoy your presentation. How quickly will we see improvements in performance? In terms of defining your proposition or reworking the presentation strategy and materials, results are often seen immediately. At the personal level, most skills need a little time and practice to develop fully. However, even here there are a number of important and vital things that you can implement immediately, the moment you get back to your work place or in front of your next audience. A number of these instant performance enhancers appear on our blog. Is what you do applicable to any presentational situation? In almost every instance, the answer is yes. You will take away a variety of new skills and ideas to apply to almost every situation we have ever encountered. Generally one or two days depending on your brief to us, although we can construct tailored intensive half-days or shorter sessions such as our Lunch & Learn. Can you help us with specific events? Yes we can help you. Defining your key messages and propositions, audience analysis, scripting, designing presentation materials, speaker co-ordination and dress rehearsals and preparing speakers for TV and Radio are just some of the activities we regularly carry out for clients. Can you train our trainers to deliver your material and methods? Yes, there are a variety of licensing and other arrangements possible. Please contact us to discuss this in detail. How long after we confirm an engagement with Winning Presentations can we start? With coaching or rehearsals often within a few days or sometimes within hours if you are in one of our home cities and there is a crisis or other urgent event. For assignments involving briefing and design for Workshops and Seminars, please allow three to four weeks. How do we pay Winning Presentations? You have a choice of paying for services by the hour or day, for example: Rehearsals and Coaching run on an hourly basis or a day rate for Seminars and Workshops. For consultancy services and specific assignments, Winning Presentations charges by the hour or the day, or by monthly or annual retainer. When advising on specific pitches or business winning opportunities, Winning Presentations also offers No Win No Fee options. Can anyone learn and apply the things that Winning Presentations advise and teach? Yes, almost without exception, often with quite thrilling and inspiring results. It grieves us to admit it but just twice over the years have we had to admit defeat. However just two individuals out of thousands leaves us feeling pretty good about what we do and how much you will take away from your time with us. What we can guarantee is that the methods that Winning Presentations use have been tested and proven to produce results. We are sufficiently confident that we are prepared to work on a results based arrangement. Can Winning Presentations make our slides and materials? No, however Winning Presentations can refer you to some excellent companies who can. Do you only work in English? In addition to English, Winning Presentations delivers in French, German, Spanish, Mandarin and Cantonese, and you will receive Workshop and Seminar materials in the same languages. How often are you conflicted when advising on specific competitive events? Frankly not that often but it can happen. When it does, specific consultants work with specific clients and a strictly no contact or discussion policy is maintained throughout the assignment.